Here's a very early progress picture of my swap piece. It's probably 2-3 days away from being complete. It's been a great piece to work on while watching football. 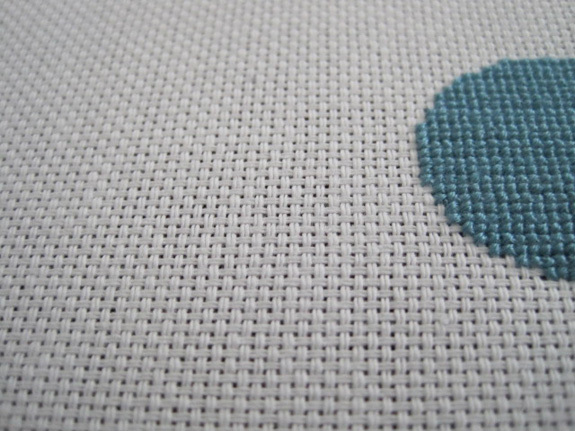 I'll have some pictures of completed stitches to show tomorrow. Yay!